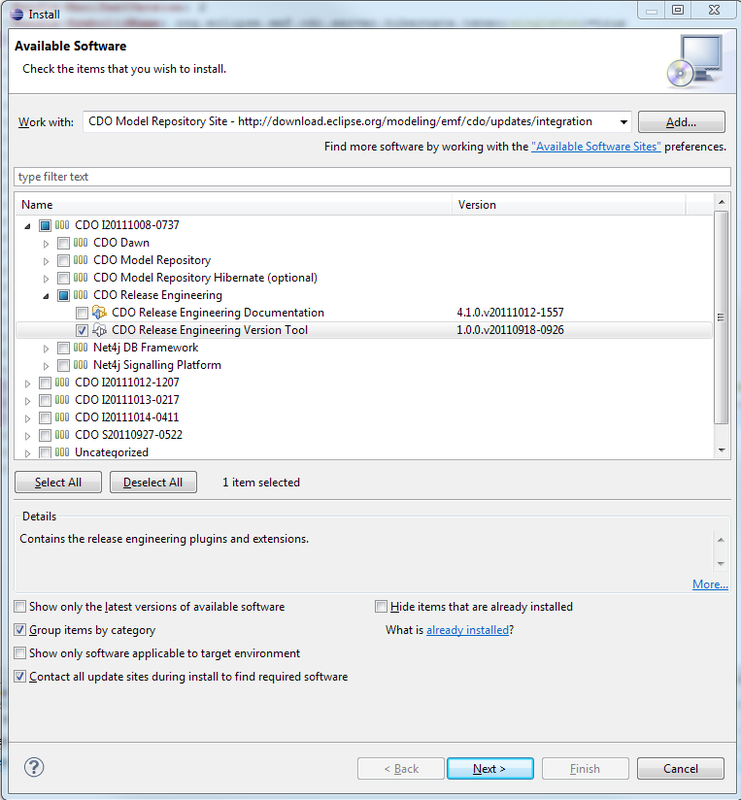 This tutorial describes how to install the CDO workspace using Buckminster. 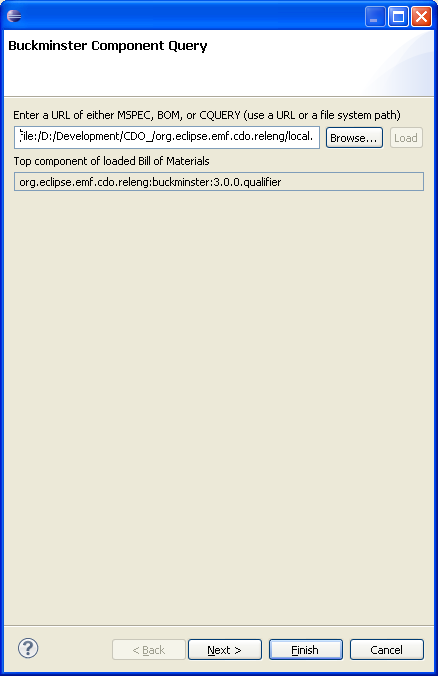 The sources can also be browsed through the Git web interface. Now an API baseline will be created. Non-committers may skip this section. 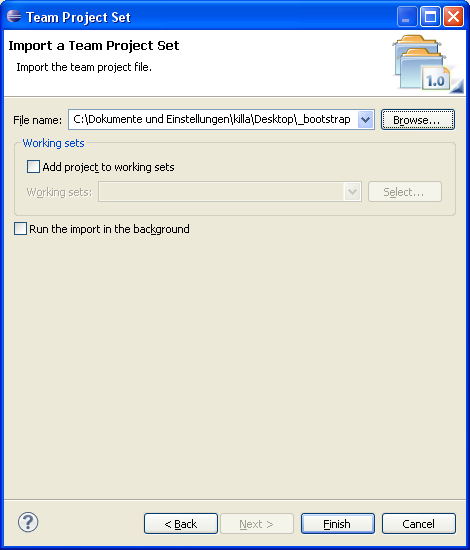 Create a new workspace project called "_baseline"
Download the 4.0 baseline from SourceForge and extract it into the _baseline project. 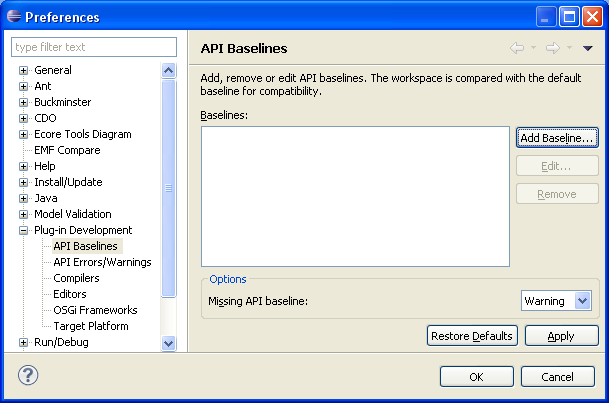 Now add the API baseline: Open the Preferences (Window->Preferences) and open the "API Baselines" page. Click "Add Baseline...". 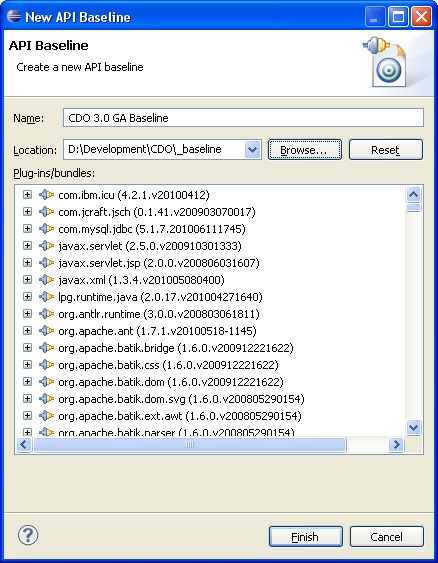 Give it the name CDO 4.0 Baseline and choose the path to your _baseline project as destination. 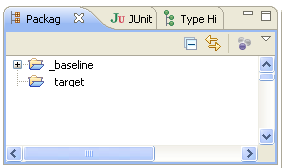 Then the API baseline is created and set active for your workspace. 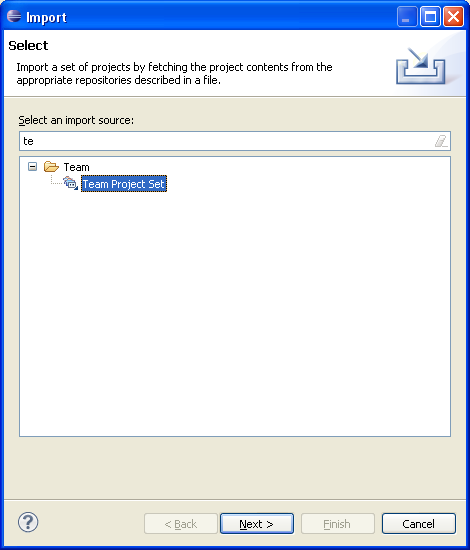 Hint: Instead of downloading the PSF-file, in Indigo you can copy the URL from the table above and import the Team Project Set directly from the copied URL. 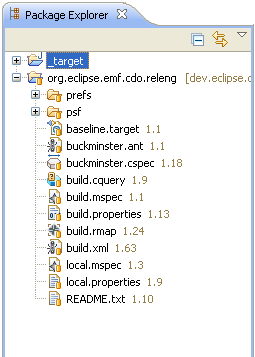 You can update your development workspace with re-importing the local.mpec as described above. Then the whole workspace and the target platform are updated. 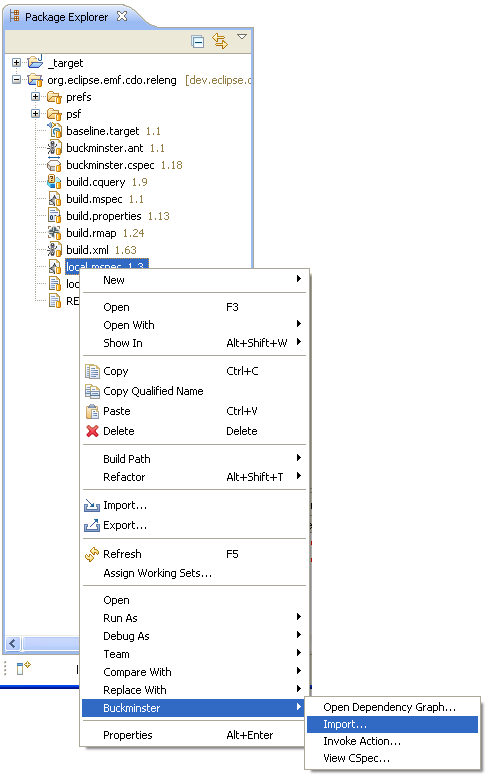 Note, that re-importing doesn't update your source from the SVN repository. Use Subversive for this purpose! 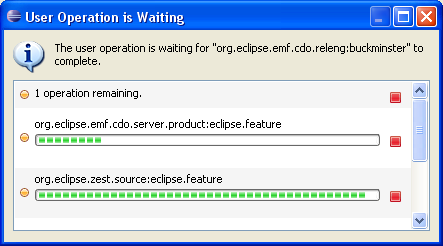 Please do not forget to install install our versioning tool from http://download.eclipse.org/modeling/emf/cdo/updates/integration.